Andrew Borg Cardona has been president of the Chamber of Advocates for four years. As he nears the end of his last term, he speaks to Kurt Sansone about bail, suspended sentences, the judicial system and divorce. Anger soon followed shock when people realised that one of the men implicated in the hold-up on the Attard jeweller in December had been involved in a similar hold-up some months before, and was out on bail. It was incomprehensible how somebody involved in a shoot-out with the police during the foiled HSBC headquarters hold-up in June, could be allowed the freedom to repeat a similar crime some time later. 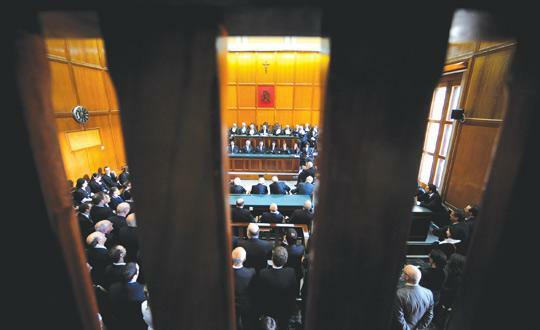 The wave of public anger even swept along with it Justice Minister Carmelo Mifsud Bonnici, who warned that legislation could be enacted to limit the possibility of bail being granted in certain cases. His words may have gone down well with the public, but for lawyer and president of the Chamber of Advocates Andrew Borg Cardona, no law could make it impossible for a person to obtain bail because it would “fall foul of the European Convention of Human Rights within minutes”. Nearing the end of his second and final two-year term as president of the body that represents lawyers, Dr Borg Cardona says bail is “a natural consequence” of the basic human right that somebody is presumed innocent until found guilty in a court of law. He understands why people feel angry that somebody with such a record should be out on the streets, but insists the man is still innocent until proven otherwise. “God help us if it wasn’t like this, because we would have a country where the police decide who stays in jail and who doesn’t. It would be the police deciding who is guilty, not the courts,” Dr Borg Cardona says. Liberty, he adds, is such a basic human right that it is better to err on the side of caution. “You cannot keep somebody in jail because you think he might be guilty, but I understand that you also have to protect society. Finding the right balance opens up a whole philosophical debate,” he says. The debate on bail that ensues every time there is a serious case may not be the deep philosophical type Dr Borg Cardona envisages. While respecting the people’s right to express an opinion he insists that most base their arguments on what is written in newspapers. “By reading a couple of paragraphs in a newspaper report I may be convinced that somebody is guilty – but who am I to say so? It is the court that should decide the matter, and certainly its decision is not based on a court report, however well or badly it might be written,” he says. Magistrates are normally the ones tasked with deciding on bail and many are under the impression that granting or denial of bail is dependent on the person judging the case. However, according to Dr Borg Cardona, although magistrates do have a measure of discretion when deciding such issues, their duty is to apply the law, which sets out clear criteria. “Magistrates are sensitive to people’s concerns and they do factor in the possibility of the accused absconding or approaching and threatening witnesses when deciding on bail. “You do have cases where the accused is remanded in jail, but at some point even alleged murderers are allowed some form of bail,” he says, acknowledging that it is up to the legislator to tighten the conditions for the granting of bail in certain cases. The bail controversy is possibly rivalled by the one surrounding suspended sentences. The courts can at times give the accused a jail term that is suspended in order to give the person a chance to reform. But when somebody collects one suspended sentence after another, questions start being asked. The debate on suspended sentences is a heated one, but Dr Borg Cardona insists the judiciary have all the facts at their disposal when deciding on a sentence, “unlike a public basing itself on newspaper reports”. He admits that members of the judiciary do make mistakes but insists that sentencing is a sensitive area, and magistrates and judges should be allowed the leeway to determine what sentence to give depending on the circumstances and evidence before them. “It may be justified to give somebody a suspended sentence but not to another person even if the crime is the same. There are nuances in each and every case that do not necessarily come out in a newspaper report,” he says. But he widens the argument and says the courts may have to agree on a sentencing policy to provide a sense of uniformity. However, a problem arises with certain crimes that the public may feel require a harsher or more lenient punishment – but the judiciary’s hands are tied by the law. “In such cases it is the legislator who has to change the law to reflect modern-day exigencies and expectations,” Dr Borg Cardona says. Lawyers are often accused of helping their clients wriggle out of serious accusations. It is a popular charge that may be grounded in reality as much as in a superficial reading of how the justice system works. However, in an interview last year, outgoing Chief Justice Vincent DeGaetano said he was appalled by the behaviour of some lawyers in the family court, insisting they had to remember they were first and foremost, officers of the court. It comes as no surprise to Dr Borg Cardona that there are some lawyers who may not be acting completely within the parameters of ethics or proper practice. “I would have invited the Chief Justice to pass on the names of the lawyers in private, and if it warranted it, the Chamber would have taken action, but I accept that lawyers are human and they can err,” Dr Borg Cardona says, in defence of his profession. He says certain pressures imposed on lawyers who practise in the family and criminal courts may lead some to give the impression they are “playing fast and loose with the rules”. “There are good lawyers and bad lawyers, but above all, there are human lawyers,” he says. But does a lawyer’s allegiance lie with his client or the law? The answer is pretty straightforward for Dr Borg Cardona, who insists that in a country ruled by law, a lawyer’s primary allegiance is to the court with an almost equal allegiance to the client. A lawyer cannot “wilfully or negligently” mislead the court, even if there are varying degrees of negligence, he says. If a client in a criminal case admits to his lawyer he was on the scene of the crime but says he is ready to produce a false alibi to prove the contrary, the lawyer should not continue appearing for that client, Dr Borg Cardona stresses. “My primary allegiance is to justice, but I also have an almost equal allegiance towards my client. This does not mean I should do everything the client wants me to do, or what I think will help my client. There are ethical limits that I cannot overstep,” he says. It is a very subtle distinction, which laymen can find hard to make. The impression formed by some is that lawyers are there to cheat and lie on behalf of their clients. The exercise of this profession resembles a balancing act while walking the tightrope of justice. Sometimes, a few do not manage to make it to the other side but Dr Borg Cardona insists people on the outside may be getting the wrong impression, and those of his ilk who do cheat are outside the rule of law and beyond the ethical boundaries. “Lawyers are human and there are some who do make mistakes just like there are accountants who engage in fraud or journalists who are incorrect. “Many people who comment may be too influenced by the John Grisham stories and TV series like CSI and Criminal Minds, but this is far from reality. Dr Borg Cardona admits that people do not appreciate a lawyer’s role because most have never had a criminal charge at their door. “But when they do, they would want their lawyer to get them out of the mess. Lawyers have to do their job within ethical and legal constraints to the best of their ability. He insists that lawyers in criminal cases are not there to judge their clients but to ensure the charge made is a valid one substantiated at law. Dr Borg Cardona’s constant reference to the influence of media reports on people’s opinions raises a pertinent question: can a staunch believer in freedom of expression argue against people having an opinion on judicial matters? He laughs, and as someone who is also a columnist who writes on pretty much everything under the sun, he also includes himself in the argument. “People should have a say, but not the final say in how our court system works. “Everyone has a right to an opinion but it has to be based on facts and in full knowledge of the realities at hand. Unless it is so the right to have an opinion treated as valid and important is reduced,” he says. He admits that the internet age has removed the editorial filters of the past, giving anybody the chance to upload whatever comes to mind. As president of the Chamber, for the past four years Dr Borg Cardona was a member of the Commission for the Administration of Justice, which is a constitutional body tasked to oversee the behaviour of the judiciary, lawyers and other professionals working within the justice system. The commission has the jurisdiction to reprimand members of the judiciary but its power fluctuates between two extremes with no middle ground: it can either warn a member of the judiciary without having any means of acting on the warning, or else in extremely serious cases, it can recommend that a member of the judiciary be impeached by Parliament. In the past, warnings have been ignored, raising questions as to whether it is time for this constitutional body to have more teeth. Dr Borg Cardona agrees that the commission’s powers are limited when it deals with the behaviour of members of the judiciary as opposed to when lawyers are asked to appear before it. “The commission is extremely effective with lawyers, and I have seen colleagues who have had cases in front of the commission and who were extremely worried,” he says. In theory, he adds, a warning by a constitutional body should be enough for a member of the judiciary to correct his or her ways. The problem arises if the warning is ignored and in such cases the commission has no way to sanction the inappropriate behaviour. It is a problem Dr Borg Cardona puts squarely in the lap of politicians, who are the ones tasked with changing the law. “They have to take the matter into their hands. It is time for all political parties to sit down together, consult experts and create a proper system of making the judiciary accountable,” he says, though he insists that the exercise has to be accompanied by affording members of the judiciary proper recognition. “They should be paid appropriately, and their work valued accordingly. You can’t carry on with a system where people are giving up their legal profession and agreeing to become members of judiciary just for the honour of recognition. “Their job has to be remunerated properly and the work environment improved radically,” Dr Borg Cardona says. 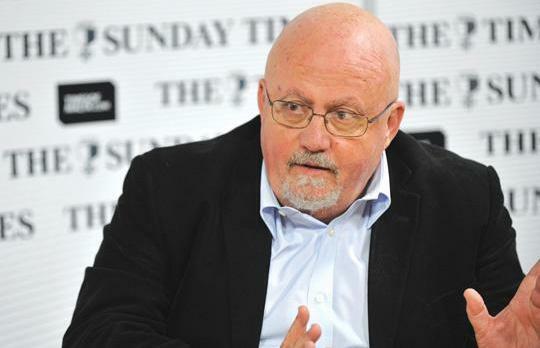 It is within this context that he sees the possibility of a reformed commission with the power to fine judges and magistrates if their behaviour is not appropriate. A closely linked issue, which Dr Borg Cardona believes should also be tackled, is the method of appointing members of the judiciary. Today, as it has always been, the power to appoint judges and magistrates rests solely with the justice minister. Former European Court of Human Rights judge Giovanni Bonello had suggested last year changing the system to have career judges and magistrates instead, similar to what happens in other countries. “In principle I would agree with such a system. We have to go beyond the ‘we can trust this guy’ attitude when appointing members of the judiciary. We have to revisit the situation, although I must admit that despite all its failings the system has left us with a pretty good standard given the compensation they get,” Dr Borg Cardona says. The divorce debate last year also engulfed the legal profession when the Church’s judicial vicar Mgr Arthur Said Pullicino warned lawyers and the judiciary during a Mass organised by the Chamber that they would be committing a sin if they cooperate with the introduction or even the application of a divorce law. What does an outspoken lawyer present for the Mass do when a top clergyman threatens him with sin? “I was about to walk out, and the only reason I did not do so was because it was a Mass organised by the Chamber in memory of Guido de Marco and I did not want to embarrass his family. “Mgr Said Pullicino had no business making that remark,” Dr Borg Cardona says. While pointing out that the Chamber has no position on divorce, he insists the Church has every right to say divorce is wrong but it has no business interfering with matters of state. “Whether your personal morality or beliefs allows you to divorce is different from whether the state should allow a couple to divorce if they so wish. “Giving ascent to a law does not mean I condone it,” he says, taking a swipe at the fact that Malta was only one of two countries in the world that did not have divorce. In a recent statement, former President Eddie Fenech Adami said Malta’s unique world status was not an excuse for the introduction of divorce, adding that the rest of the world is living a contradiction when allowing divorce even though marriage is contracted for life. “Dr Fenech Adami has every right to his opinion, but if there is a person whose personal moral code allows him to dissolve a marriage, who am I to stand in his way?” he asks. Dr Borg Cardona says that although annulment and divorce are not the same, the net effect of both legal decisions is the same. Within this context he sees no moral impediment for divorce if morally it is acceptable to allow a married couple with children to obtain an annulment. Will the country have a divorce law in the near future? “It will be longer than that,” he says, adding that much depended on how harsh a stand the Church will take in the debate. Watch excerpts of the interview on timesofmalta.com.